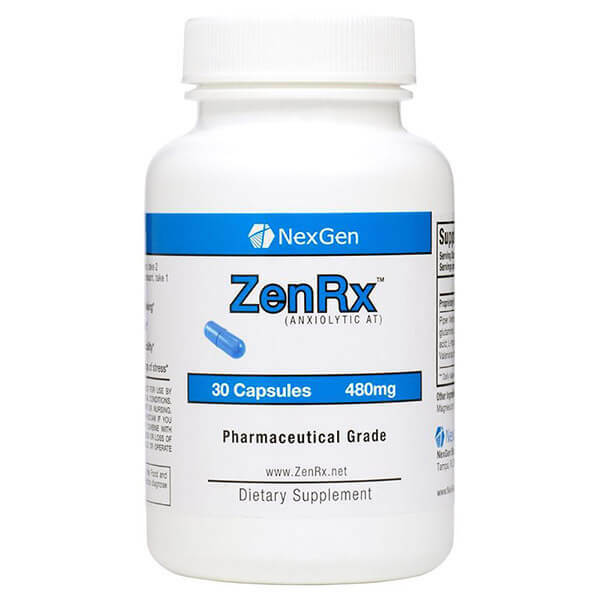 Nexgen’s Zenrx is a revolutionary anti-anxiety supplement and herbal legal alternative to prescription medications, that has been topping best selling and top rated charts across the internet for more than a year now! We are continually researching the latest in scientific breakthroughs and research to help us stay one step ahead of the competition regarding our best selling anti anxiety supplement! Zenrx is continually evolving and adapting its multi-faceted formula to ensure the very best results possible for its customers! 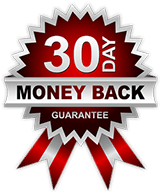 It delivers top of the line results through a combination of the highest quality ingredients and a revolutionary proprietary formula dubbed Anxiolytic AT. 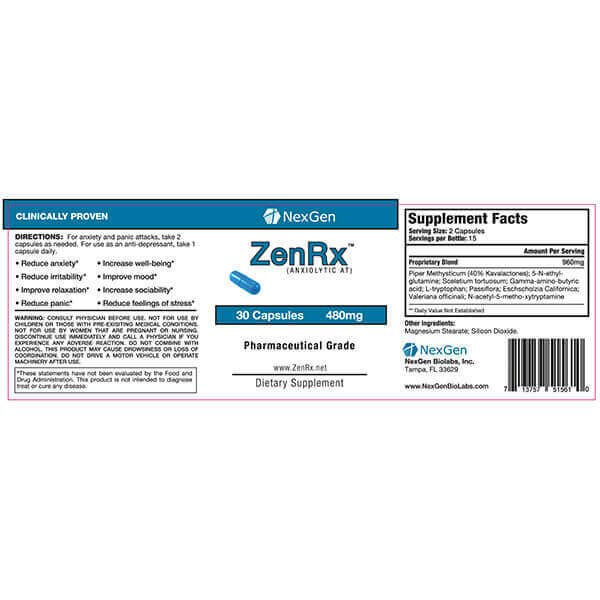 ZenRx is a revolutionary anti-anxiety supplement containing an extensively researched blend of ingredients designed to improve your overall sense of well being and lower your experiential feelings of stress. Do you often suffer from anxiety and stress, sometimes for no apparent reason at all? Looking to get that nagging feeling out of your system but don’t know where to turn? Are you are plagued with panic attacks? Does anxiety affect your everyday life, making your normal day-to-day activities difficult to manage? Do you want to restore your normal life, reduce anxiety and panic attacks, but don’t know how? Does school or work cause your mind to race, creating physical tension and aches, insomnia, and panic? ZenRx may be all that your body needs to lessen anxiety and eventually kick those panic attacks, allowing you the chance to live a normal, healthy life with the people you love! Get the ZenRx effect today and start feeling better! Over-the-counter relaxation shots and elixirs may make you sleep, but do nothing for your anxiety. Herbal remedies are based on mere hunches, are not scientifically proven and simply don’t work. Stronger medications may help with anxiety and panic attacks, however, these drugs are difficult to obtain, have harsh side effects and become non-effective as your body quickly builds a tolerance to them. 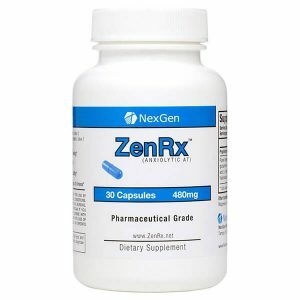 ZenRx has been scientifically formulated and extensively researched to provide you with effective anxiety relief without the harmful side effects of harsh anti-anxiety drugs. 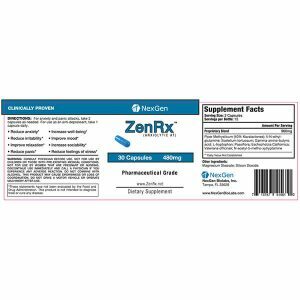 ZenRx, a natural herbal sleep supplement that is safe, doctor recommended, university studied and clinically proven to reduce symptoms of anxiety and improve feelings of well-being and sociability. Warning – ZenRx is a very powerful Anti-Anxiety compound and can cause loss of coordination and confusion similar to prescription anti-anxiety medications. Do not use while driving, or in conjunction with alcohol. My favorite over the counter sleeping product yet. Love this stuff! I have used melatonin (makes me nauseous) with some success in the past and other similar over the counter sleep supplements and this is my favorite by far. I gave some to my neighbor and she uses it as an alternative to her xanax prescription sometimes too when she doesn’t want to be groggy the next morning! We noticed lots of supplements like this had this nausea complaint, so we tried to balance our ingredients to solve the issue. Glad to hear you like the product Tom! I bought ZenRx online from Walmart for $29 plus 7.95 shipping and handling. I have been taking xanax and was looking for an alternative. I took tow capsules last night and had a very relaxing night. I feel the product is worth the money . I will know for sure after I take it for an anxiety attack.